UPDATE: A new and improved "Thunder Summer" is out now: Thunder Pro! Vuly is very proud to announce that Thunder Summer has received a Good Design Award® in the Sports and Leisure category at the International Good Design Awards in Sydney. As the longest standing design award and promotion program in the country, The Good Design Awards recognises outstanding design expertise. Vuly CEO, Joe Andon, had just one vision for Thunder Summer: to design the best trampoline in the world. To do this, the five key areas of safety, performance, simplicity, longevity and features needed to be targeted and improved in every way possible. Thunder Summer’s unique design offers an incredible bounce, as well as better safety features than regular, run-of-the-mill backyard trampolines. The idea was to create a trampoline made of multi-functional, non-traditional parts that were simple to assemble and strong. To enhance Thunder Summer’s visual appeal, Andon enlisted the help of Sydney designers, D3 Design. 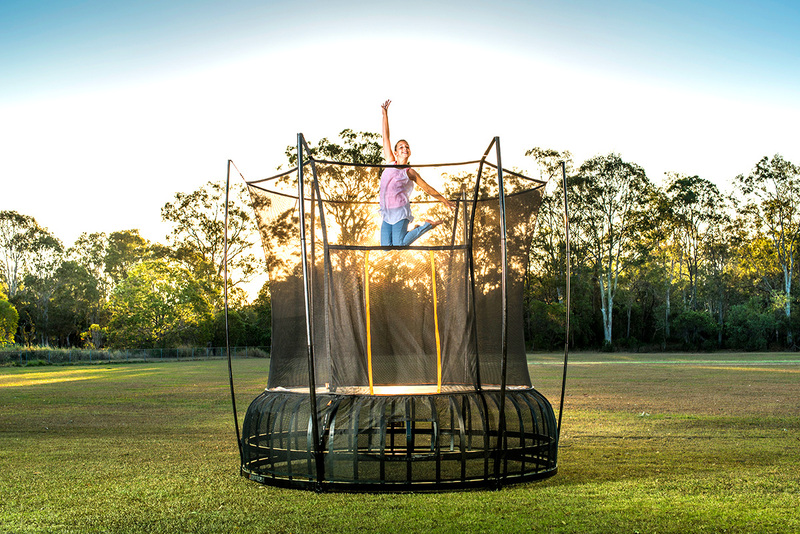 “Joe Andon’s design brief said the trampoline needed to be more visually appealing than anything else on the market,” David Francis of D3 Design says. Without any previous trampoline design experience (but with plenty of product design under his belt), Francis knew that working to Joe’s specifications on Summer would be challenging, but found that a fresh approach produces outstanding results. “Joe would constantly challenge us to reduce the complexity of the design,” he says. Both the Vuly and D3 Design teams are over the moon with Thunder Summer’s win at The Good Design Awards. Visit www.vulyplay.com/trampoline/thunder-pro for more information.